Deputy Minister Stella Ndabeni-Abrahams launches Dominican School for the Deaf Cyberlab, 6 February 2018. On the 17th of Â September 2018, the minister of basic education, Angie Motshekga, called on law enforcement agencies to help quell the recent spate of violence which has rocked schools in South Africa. This after the South African national crime statistics released on the 11 September 2018 were a stark reminder to many of the extreme levels of crime and violence that South Africans experience daily. Murders are up 6.9% from the last reporting year, with an average of 57 people being murdered daily. There were more than 50,000 sexual offenses reported, averaging 137 sexual offenses a day. While in the same week the spotlight is on youth violence with incidences of violence and murder being reported in schools. This highlights the need for urgent actionable strategies, and the action needs to go beyond policing to familial and social structures and ultimately targeting the root causes of violent behaviour within our society, write SUMAIYA MOHAMED and JACQUI CHOWLES. The impact of early life development and how it shapes and forms later adult life is often underestimated in todayâ€™s society. Especially when social structures are not in place to support this development. Current society has a generation of children who are exposed to violence in and outside of the home from an early age. The question of impact arises: What is the impact of this exposure, coupled with the experience of poverty on a childâ€™s emotional development? And how do parents create a holding environment to emotionally nurture and psychologically hold their child? Research done by the Centre for the Study of Violence and Reconciliation (CSVR) on the drivers of violence which include structural and community level factors (socio economic inequality, gender and masculinity, lack of social cohesion, alcohol and firearms) helps make sense of the reason why providing an emotionally nurturing environment for children is a challenge. These â€˜driversâ€™ which are predominantly evident amongst the most vulnerable and marginalised of our society, have an impact on family relationships, infant development and parenting. Thus contributing to the cyclical nature of violence. Take into consideration the impact of poverty on a familyâ€™s ability to create a holding environment for their child. There are mouths to feed and basic needs to meet. Emotional bonding, psychological holding and nurturance through acknowledgement often has to wait: There is no choice. As therapists at the CSVR, we have undergone trainings, workshops and sat with many perspectives in relation to family interventions and one thing that stood out was,Â Attachment is Everything! Early attachment can be seen as the key to understanding many of the individual, familial and societal challenges we experience today and this links strongly to the continuous perpetuation of cycles of violence. 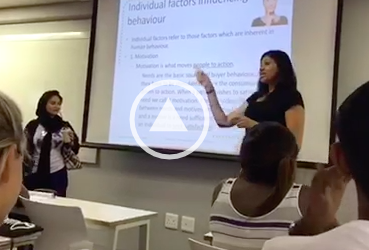 This was further highlighted in a talk by Dr. Clinton Van Der Walt, titled, â€˜Formulating violence as a response to dysregulated and distressed mental statesâ€™ at EPASSA (Educational Psychology Association of South Africa) annual conference this year, where he highlighted the importance of attachment disruptions and trauma as major contributing factors to the development of violence. He stated that, â€˜dysregulated children become dysregulated adults haunted by the ghosts in the nurseryâ€™. So when we have parents, families and societal structures that are unable to hold and contain children, how does the un-held, un-contained and wounded child develop? And what impact does that have on them in their adolescent and adult life and the ways in which they can contribute to society? South Africa is home to generations of people for whom violence is a learnt response to levels of despair, inequality and disempowerment. We see the impact of structural violence on attachment within families. This is evident today, noted among youth, where high levels of unemployment and structural inequality steer youth to crime as well as interpersonal and self-violence. Added to this is a society who looks upon this generation with judgement and vitriol, further othering them and entrenching their feelings of worthlessness and inferiority; Contributing unconsciously to the cyclical process trauma, poverty, mental health challenges and violence. These concepts are spoken about in length at academic and elite levels, yet are only trickling down in small ways to a grassroots level. Why? A lot of good work is being done in the field of early child development. Non-governmental organisations such as Ububele and Seven Passes Initiative, who work with children, families and communities highlight the importance of attachment relationships with primary caregivers as the key to emotional development and provide this through various interventions. There are prenatal and postnatal classes offered to pregnant women. However, these early methods of intervention are only accessible to the minority of the population. Therefore, with some amazing interventions out there that have been shown to help and create the change that is needed in our current society, why are there still so many challenges to implementation on a larger scale? Why is this something that has not been prioritised by government? So no, we donâ€™t think enough is being done at an early intervention level in relation to the prevention of violence. Why are we not investing in our youth? Why are we not investing in our children? Why are we not helping them to create a violent free society by helping them to manage their own emotions and make sense of these emotions? Early violence prevention strategies are vital to the development of our youth. Healthy individuals contribute to healthy families which contribute to healthyÂ societies. Sumaiya Mohamed is a Psychosocial Trauma Professional at the Centre for the Study of Violence and Reconciliation.